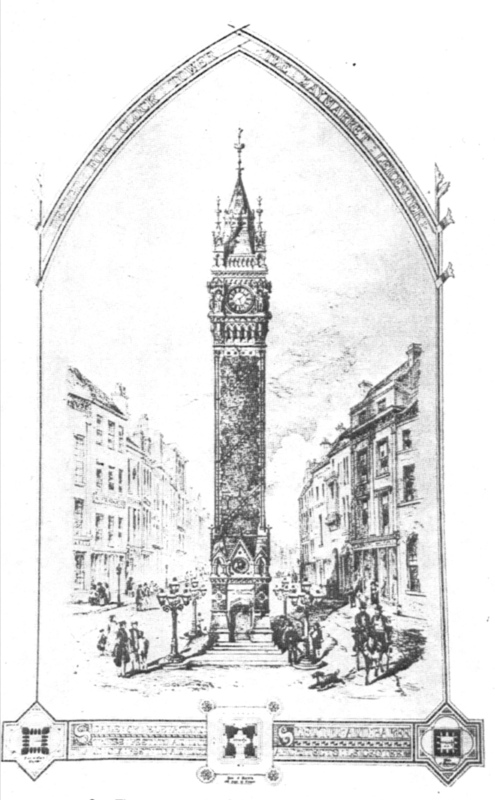 It was a bright Monday morning on March 16, 1868, when the mighty foundation stone of Leicester’s new Clock Tower was put into place. 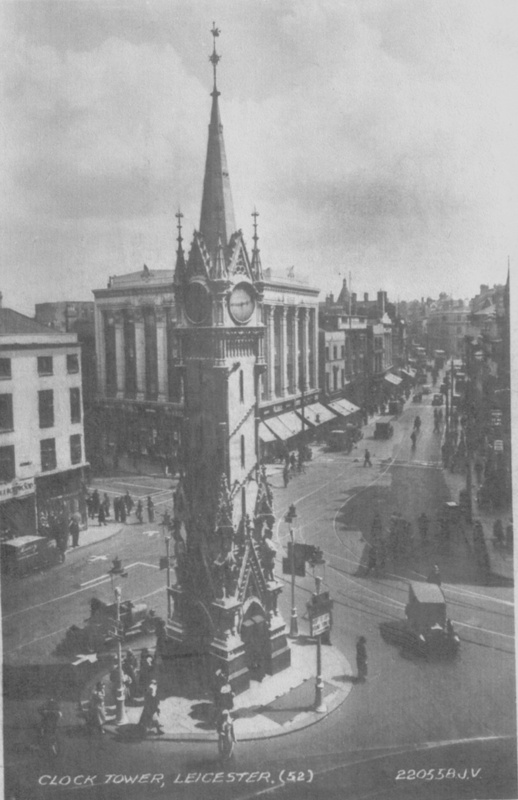 Originally known as the Haymarket Memorial Structure, the Clock Tower was the brainchild of a Mr John Burton, the proprietor of the then Leicestershire Mercury and founder of John Burton and Sons, the famous printers and photographers of Leicester. Mr Burton is in the centre of this fabulous picture, which was taken by Oliver – one of Burton’s four highly-influential sons in the photographic industry. Another – Mr J W Burton (number 8 in the photograph) can be seen at the top of the picture sporting a tall black top hat, no doubt not wanting to miss his father’s grand day in the spotlight. The local press are there, too, of course – reporters Mr Emery (1) and Mr Atkins (7) are both in view (click the picture for a better look). Shown with the foundation stone as he made a speech to the assembly of people, John Burton’s dream of having an iconic sculpture in the heart of Leicester began to become a reality on this day. The Clock Tower we know today may never have existed if it hadn’t been for John Burton’s relentless ambition. 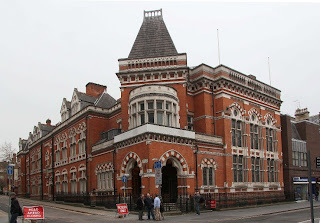 It all began in the mid-19th century when, after years of campaigning by the East Gates Improvement Committee – of which Burton was Honorary Secretary – the dilapidated Haymarket, where the people of Leicester met to buy and sell hay and straw, was torn down to pave the way for a large open space. 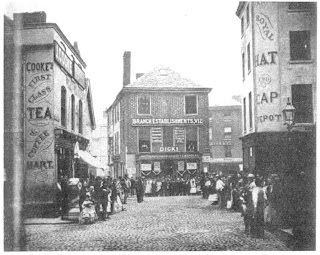 Funded by local property owners and businessmen, the demolition was ordered on March 9, 1862. The area was then paved, but the town’s hay was still stored there, making it untidy once again. 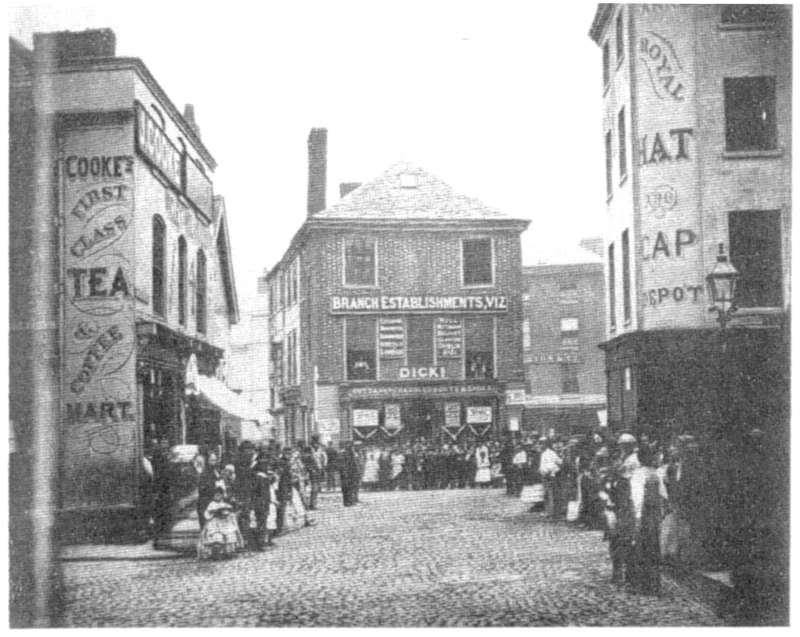 After a further four years of campaigning, the Haymarket was moved to Humberstone Gate, but the area that was left became a dangerous place for pedestrians due to the high volume of horse traffic that passed through the “five-points” of Leicester – the area where five roads met. So the Improvement Committee, led by Burton, proposed a structure to be built there as protection from the traffic, so that the area would be easier to cross. What was proposed was “a sort of Gothic square tower” with a bold, illuminated clock on each of the four sides. On the tower would be “high relief medallions” in stone, to honour four “Leicester greats” – Simon de Montfort, William Wigston, Sir Thomas White and Gabriel Newton. That was all well and good, but the town council made it clear that the building of the Clock Tower would be paid for by those wanting to construct it, so subscription arrangements had to be made. John Burton led the way, using his own newspaper as his tool to request money, as well as displaying proposed designs for the structure. The Committee to Determine the Character of the Structure was soon set up, consisting of 24 gentlemen including Mr P Wardle (3), seen in the picture leaning on the foundation stone on Burton’s right, and Mr Henry Norman (2), seen next to Wardle with a long grey beard. Some 105 eligible designs were submitted to the committee, and were publicly exhibited for seven days. Eventually, the designs were reduced to three, with the town council having the final say. 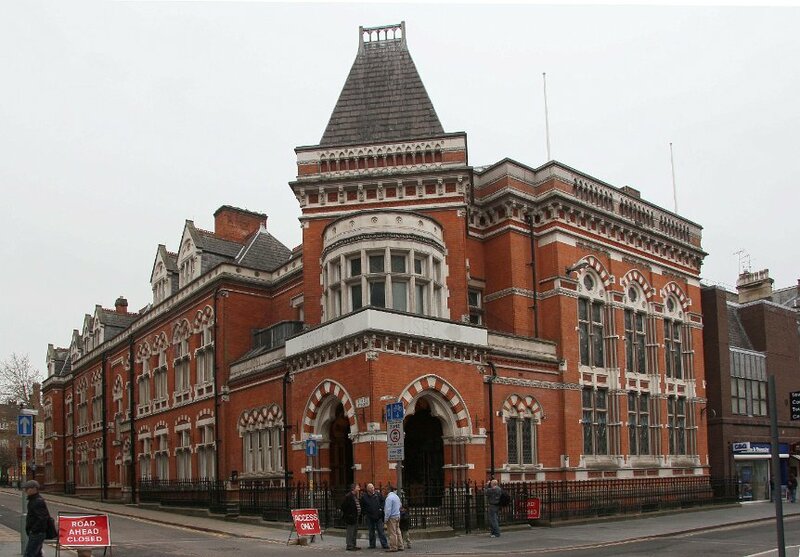 The chosen design that we see today came from Joseph Goddard, the man behind the fabulous building in Granby Street, which was once home to HSBC. 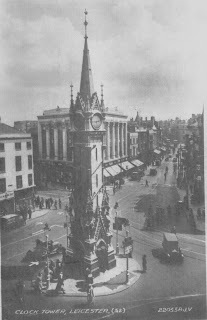 The sculptor chosen to make the design a reality was Mr Samuel Barfield (5), of Welford Road, seen towards the top of the photo, standing next to Burton’s son. Barfield was locally celebrated, with many of his sculptures scattered throughout Leicester, including part of the interior of St Mary’s church, in Humberstone. The beautiful alabaster font close to the church entrance is well worth a look for those with an interest in Barfield’s work. So it was that John Burton, the man who had campaigned to have the old Haymarket monstrosity demolished, laid the foundation stone of the new Haymarket Memorial Structure. The foreman in charge of the building work, and responsible for a team of 32 masons, was Mr King Vann (9), who was known as “a very prince among stones”. 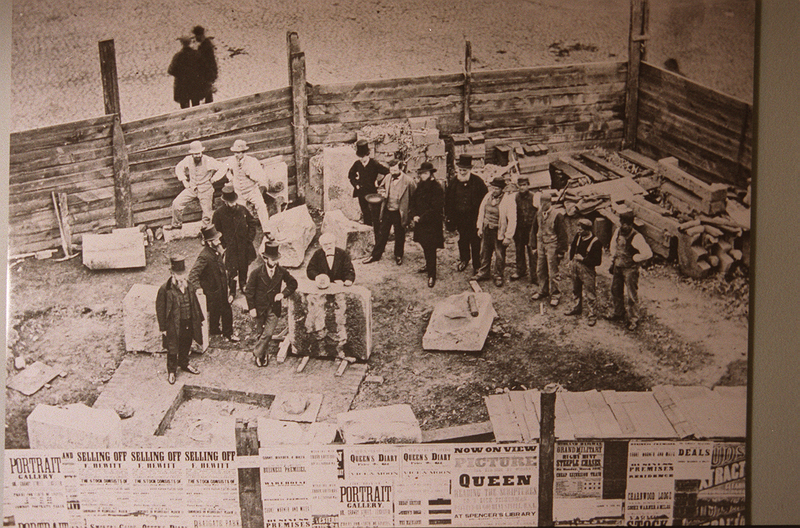 He is at the top left of the picture, hands on hips. Those who attended the laying placed monetary gifts on the foundation stone for Mr Vann, so that he and his team could spend a happy evening before the hard work began. This they did – at the Stonemason’s Arms, in Humberstone. 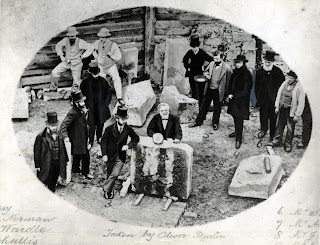 At 12.30pm on June 8, 1868, only 12 weeks after work began, Samuel Barfield’s six-year-old son, George, deposited the top stone on the structure in another ceremony. Workmen and subscribers were then invited to a dinner at Leicester’s George Hotel, and John Burton was presented with the trowel he used to lay the foundation stone. The final number of subscribers to Burton’s “little hobby” was 472 people, including Mr Scott (6), the town’s fire service chief, and Mr Challis (4), seen in the picture to the right of Samuel Barfield. In total, they raised £872 2s 9d. 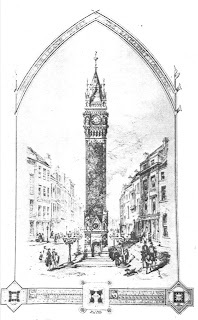 In March 1869, when the work was finally complete, with the clocks connected and statues erected, John Burton was presented with a final gift for his vision. About a dozen subscribers presented a valuable signet ring containing a large sardonyx stone, on which was engraved a view of the tower, Mr Burton’s initials and the year 1868. Was really pleased to see the picture. My book about the Clock Tower should be published January 2013 unless I can get a few copies before Christmas. Thanks for mentioning my book about the Humber stone. No Problem. If you would like to write a guest piece for the blog, that would be great and I will promote your book on the website. Please just email any words and images and also details of where people can buy your book to thiswasleicestershire@gmail.com - thanks!